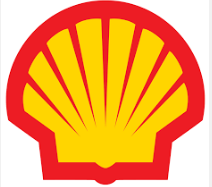 The FT this week reported that Shell had run into difficulty drilling for oil in the Arctic. My initial thoughts about this were largely driven by feelings of hopelessness about the future of the global atmosphere. The only reason why Shell can drill in the Arctic is because of their and other’s explosive release of hydrocarbons into that atmosphere which has melted the Arctic ice-cap. Adding insult to injury is one way of looking at it. A figure of 30 billion barrels, of potentially recoverable oil, was mentioned. This equates to 4.29 billion tonnes of crude oil. Crude oil contains between 82% and 87% carbon by weight. All of this will be oxidised in time and will lead to the addition of between 12.9 and 13.7 billion tonnes of CO2 to the earth’s atmosphere. The 13.7 billion tonnes figure equates to the entire CO2 emissions of the US and China added together for a year. Environmentalists rightly oppose this venture. Political economists have a vested interest in it as well. Ordinary people are going to be taxed in the future to pay for the effects of this incremental release of CO2. Loss of property, loss of seafront, storm damage, including flooding, and loss of habitat will all lead to rising insurance premiums. There will be mass migration of peoples from areas affected by rising sea levels and drought, leading to civil strife, and potentially conflict. Every citizen of the planet will pay, many with their lives. The people who won’t pay are the current decision makers and the shareholders of Shell. Their children will. I am neither a political economist nor a crusading member of an environmental NGO. I am just a business man. Here is my take on the Shell proposal to exploit Arctic oil. Most of the oil will finish up being burned, either as diesel fuel, heavy fuel oil or petroleum coke for electricity generation, or as petrol or diesel in cars and trucks. How much will the oil cost to produce? This will only be known with accuracy by Shell. It would surprise anyone familiar with these things if the price were less than USD80 per barrel. It could be higher. How would this translate into a price for a kilowatt hour (unit) of electricity? The answer depends on the technology used to carry out the conversion, and, indeed, what fraction of the oil is used. The best that can be done is to assume an energy conversion rate of 40% and a capital cost of USD400,000 per megawatt (of the technology used in the conversion process.) On that basis, the cost of a unit of electricity due to the fuel alone is USD11.25 cents per kilowatt/hour (KWhr or unit of electricity). The capital cost and operating cost based on 70% capacity factor and a cost of funds of 6% is USD1.00 cent per KWhr. That means the total cost of a unit of electricity from this Arctic oil is USD12.25 cents per KWhr. Until recently it would have been possible for Shell to argue that oil was needed for road transport. Now with the success of electric cars, driven by advances in battery technology, this argument is no longer valid. By the time the new oil wells in the Arctic come on line, and during their lifetime, it is reasonable to expect that the electric car will have become the norm. If one opposes a particular development there is an obligation to come up with a viable alternative. Here it is. We already have it in wind and solar PV. In South Africa, wind energy comes in at a cost of USD5.4 cents per KWhr. It has to be stressed that this is the total cost, the lifetime all-in cost. In Egypt a recent winning bid for a large wind farm (250MW) was as low as USD4.0 cents. In a recent briefing Note, Lazard, one of the world’s leading financial advisory firms, estimate the levelised lifetime cost of energy (LCOE) for wind at USD3.7 to 8.1 cents per KWhr and for large-scale solar PV at USD7.2 to 8.6 cents per KWhr. Contrast those prices with the estimated price of USD12.25 cents for Arctic oil; they are between 30% to 70% cheaper. So the world doesn’t need this Arctic oil. We have non-polluting alternatives. Dr Eddie O’Connor is CEO of the global energy company, Mainstream Renewable Power. In 2003, he was named World Energy Policy Leader by Scientific American magazine.